Ahead of elections, 2019 candidates are keeping no stone unturned to woe the voters. While generally, they are approaching voters with promises to lure them to cast vote in their favour, some strange instances have also cropped up. 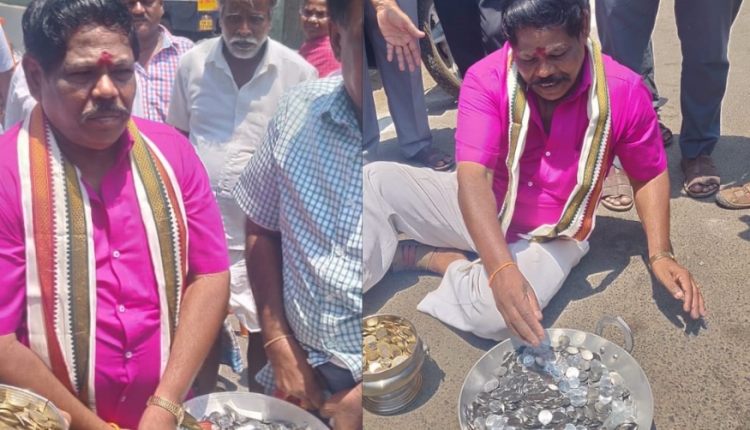 An independent candidate from Tamil Nadu has filed for nomination, paying the requisite ‘security deposit’ amount for a General candidate of Rs 25,000 only in coins. He is a candidate for a Lok Sabha seat. While paying the nomination fee and last-minute nominations are common practices during elections, it was the manner in which the candidate paid that caught people’s attention. 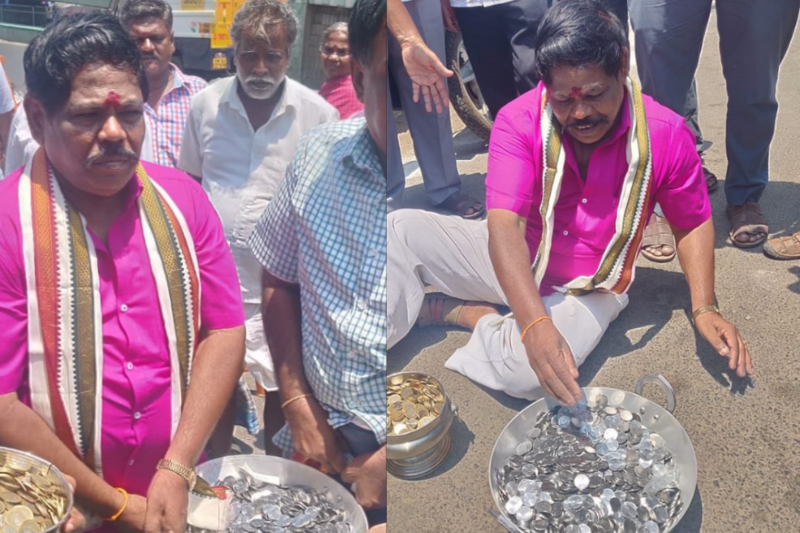 As per reports Devadoss had arrived at the South Chennai Zonal Office 13 with several vessels filled with Rs 10, Rs 5, Rs 2 and Re 1 coins. While candidates are known to do rather ridiculous things to garner votes, this seems like a strange way to start an electoral journey. The instance was, of course, an entertaining one for the netizens and they were amused. However, for the election officer, it was too tough a job to count coins amounting to Rs.25, 000.